Lil Wayne House Stormed and Raided?! According to Sources Weezy’s House got stormed and raided by Miami Dade County Sherriff Deputies du to a Judgment in favor of the company who was leasing Weezy his Private Plane before he stopped paying the 55,000.00 a month to stay current. They ended up leaving with art work and record plaques amongst other valuables to satisfy the payment. 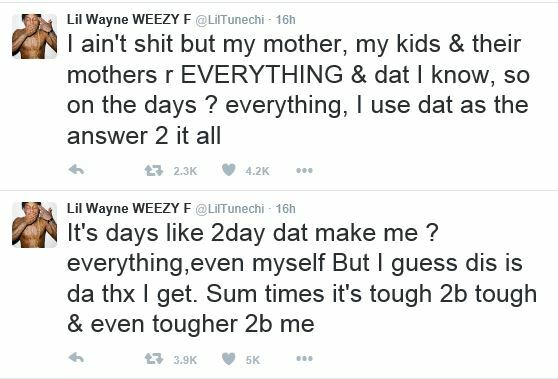 Wayne wasn’t pleased he released a statement via twitter. Hey I never said the statement was legible..